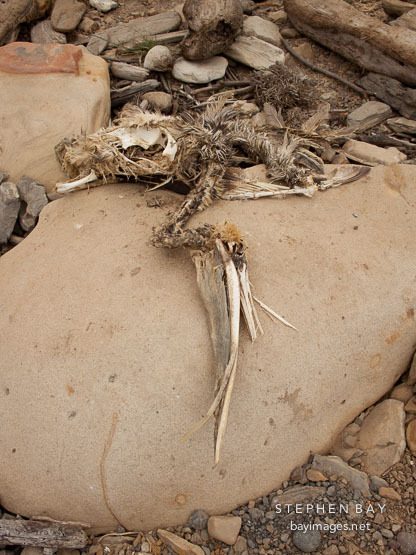 Photo: Remains of dead pelican. Point Lobos, California. Remains of dead pelican. Point Lobos, California.